"I couldn't get my sons car to run straight. I inserted this baby and was able to fix this problem. The head of the axle has a slot that made it easy to make the adjustments"
The BSA Steering Axle is a single BSA Axle (from the BSA Cub Scout kit) that has a slotted head and a 1.5 degree bend in the shaft. The slot in the head allows you to easily turn your Steering Axle with a screw driver. The 1.5 degree bend allows you to gently steer a front wheel left or right so your car rolls straight down the track. Cars that roll straight win races! 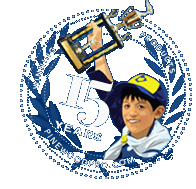 Getting your pinewood derby car to steer straight is a critical speed adjustment and it is the most challenging and time-consuming aspect of building a pinewood derby car. If your car doesn't steer straight, your wheels hit the guide rails, causing friction which slows your wheel as it turns, causing your car to lose valuable speed. Turn the Steering Axle slightly with a screw driver to make that wheel steer your car left or right. Your car should roll straight for 6 to 8 feet. You can also use our bent BSA Steering Axle to create a Rail Rider car whereby you gently guide one front wheel into the rail while canting the rear wheels outward. Building a Rail Rider requires three bent axles. The fourth wheel, generally the front left wheel would be raised so it doesn't touch the track. IMPORTANT NOTE: You can not see a 1.5 degree bend with the naked eye! Just roll a non-bent axle on a flat surface, and roll our bent axle on a flat surface and you will see that the bent axle doesn't roll as smoothly. Why is the bend only 1.5 degrees? ...because your axle only needs to be turned a few degrees to change the steering. A bigger bend will make it impossible to make the small steering adjustment that you need. Good price. Poor quality control. The axle arrived damaged. The wheel would barely turn. It was too late to send back, so I had to throw it away, along with the money I paid for it. This is a must have if you want your car to travel straight or if you want to ride the rail. If you have raced previous cars then you will understand that the axle grooves in the standard BSA kit are crooked and your car will not ride straight. This slightly bent axle allows for small adjustments to direct the cars path. Worth it!